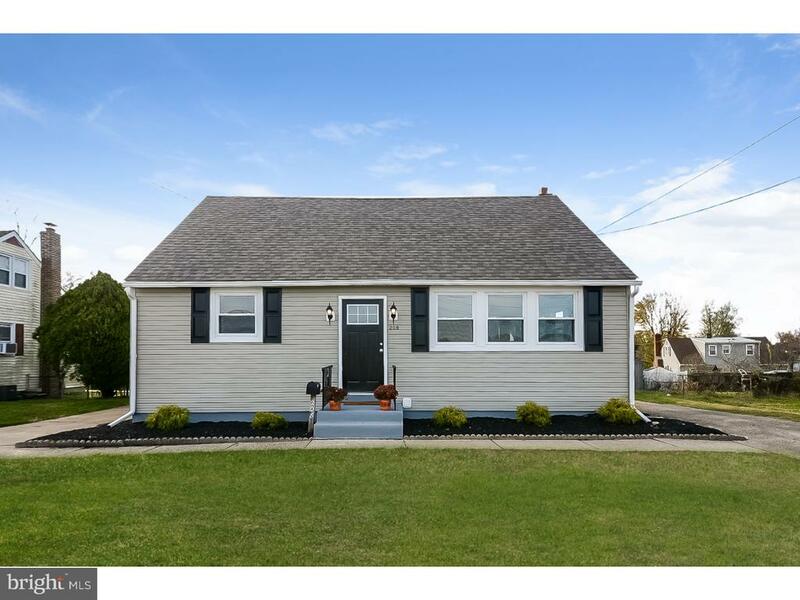 All Berlin Boro homes currently listed for sale in Berlin Boro as of 04/22/2019 are shown below. You can change the search criteria at any time by pressing the 'Change Search' button below. If you have any questions or you would like more information about any Berlin Boro homes for sale or other Berlin Boro real estate, please contact us and one of our knowledgeable Berlin Boro REALTORS® would be pleased to assist you. "Well Constructed Custom Built Ranch in desirable Berlin Boro. NOTE: Price Includes 3 Separate Lots with 3 Separate tax bills. First lot is the custom ranch on over 2 acres, the other 2 lots are to the side of the home bordering Estaugh, Park and W Taunton, approx 3 acres total. Keep them for additional scenery or sell both together (per Twp - together the additional lots are large enough to build a single family home upon, but not separately). This well-built home has so many features including but not limited to hardwood floors throughout under the custom carpets, 3 zone Heat/AC (Sunroom, Living areas, Bedrooms), hard-wired speakers in each room connected to a retro stereo which is easily convertible to today's smart tech music players, formal living room, formal dining room, extra large family room with brick fireplace which leads into the eat-in kitchen, office space, laundry room on main level. The homeowner recently added a 4-season Sunroom with its own heating and air system, Pella windows and skylights with recess blinds. The Sunroom leads to the enormous and very private rear yard. The finished lower level is the full foot-print of the home with another brick fireplace, a large entertaining wet-bar, powder room, and several storage rooms. Let your imagination go on with possibilities of your personal color palette as this home has a terrific layout. The property also has 2 separate garages/barns for extra storage and a well for a water sprinkling system (which the owner does not have set up). 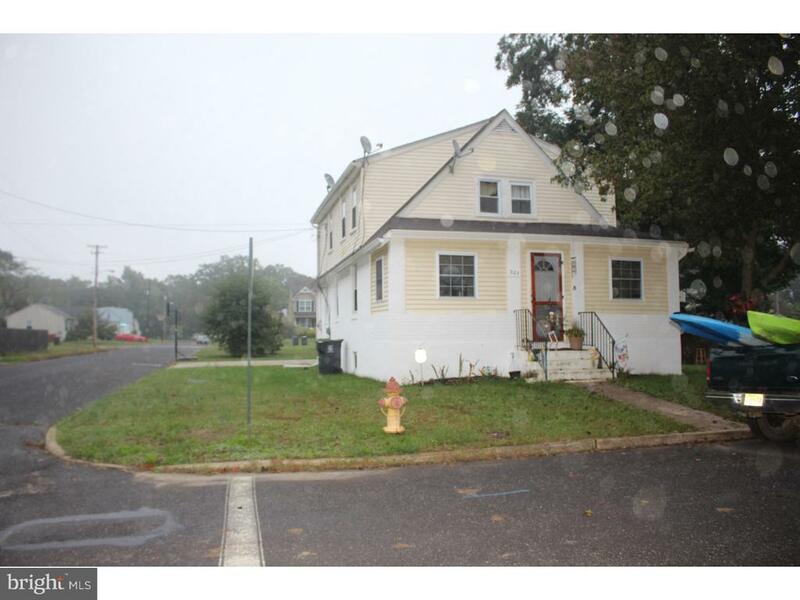 This is in an excellent location across from the Berlin Park, and near award winning doctors and hospitals, highly acclaimed schools (Eastern Regional HS), great shopping and restaurants, plus east access to Philly, NYC or the Jersey beaches. Come add your personal touches and make this home yours today." "Well Constructed Jack Gangloff Custom Built Ranch in desirable Berlin Boro with over 3000 sq ft not including the finished basement on over 2 acres of land! Let your imagination go on with possibilities of your personal color palette as this home has a terrific layout. Features include - but not limited to hardwood floors throughout under the custom carpets, 3 zone Heat/AC (Sunroom, Living areas, Bedrooms), hard-wired speakers in each room connected to a retro stereo which is easily convertible to today's smart tech music players, formal living room, formal dining room, extra large family room with brick fireplace which leads into the eat-in kitchen, office space, laundry room on main level. The homeowner recently added a 4-season Sunroom with its own heating and air system, Pella windows and skylights with recess blinds. The Sunroom leads to the enormous and very private rear yard. The finished lower level is the full foot-print of the home with another brick fireplace, a large entertaining wet-bar, powder room, and several storage rooms. The property also has 2 separate garages/barns for extra storage and a well for a water sprinkling system (which the owner does not have set up). 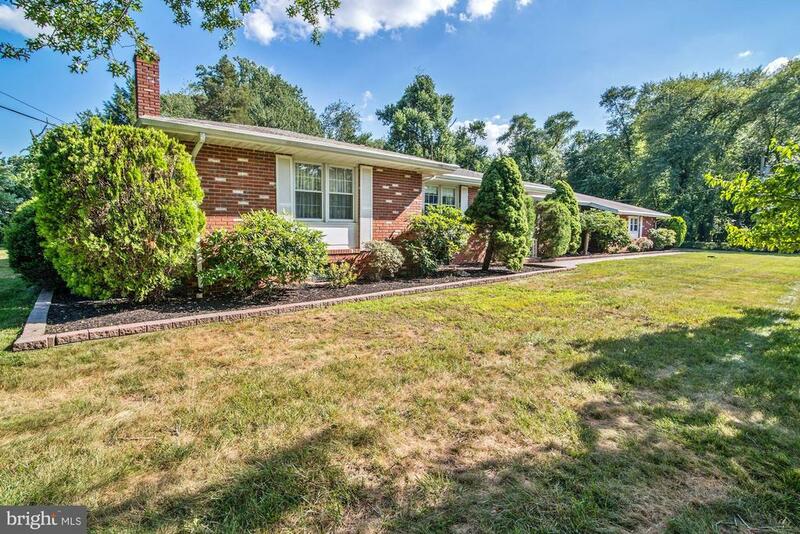 This is in an excellent location across from the Berlin Park, and near award winning doctors and hospitals, highly acclaimed schools (Eastern Regional HS), great shopping and restaurants, plus east access to Philly, NYC or the Jersey beaches. Come add your personal touches and make this home yours today." "It's never too late for a fresh start! Walk right in and immediately unpack your bags as this 4 bedroom 2 bath home has been completely updated. Offering a spacious amount of room to cook, dine & entertain, this house has it all. The kitchen has been customized to fit your needs offering all new stainless steel appliances, granite counter tops and custom cabinetry with plenty of storage space. Additional features include; 2 driveways for additional parking, complete rear fencing, a large basement, 2018 HVAC system and much more. Don't forget to check out the school district!!" "3 bedroom 3 full bath home with full finished basement featuring chair railing ,recessed lighting with has two rooms and a full bathroom ,Ceramic tile & shower surround. Corner property with vinyl siding,totally remodeled in 2015 with fresh paint,new carpet,laminate flooring,crown molding and 6 panel doors,new windows,patio,,Enclosed front porch,Formal Living room,formal dining room w/shadow Boxes, Kitchen with Granite counter top,Deep Sink,New faucet,gas range ,dishwasher,newer cabinets,and pantry. Master bedroom with double closets,and double sink and corner shower stall,new floor and new vanity. Half bath has shower stall,new floor & New Vanity,Gas heat,Central air. currently rented for $1500 /mo"
"Opportunities Abound for your In-Home Business! PC2 Zoning Exciting & Unique 3 bdrm Property is in need of some updating and the list price is in consideration and reflective. 1 1/2 bath Ranch home with 3 Room side extension to original dwelling for your business use or residential/home expansion, with separate private entrance. Clean & Well maintained with a full finished basement with a couple of bonus living areas/rooms, Laundry Area and Bilco doors to rear fenced yard with storage shed. Parking Lot for 8 to 10 cars with side street access. Zoned hvac (some electric, some gas). Alarm System with Monitoring can be transferred. Exciting Newly Installed Solar System! Current Constant Electric Bill of $175 per month for current usage/electric production for the remaining lease (approx. 23 yrs), Add'l Panels can be installed for any increased usage at the same reduced rate (.14 vs .24/.25). Includes Warranty & Maintenance with the passing of the lease with the Solar company. Zoned hvac (some electric, some gas)"